I'm at a complete loss, here. After only using my computer for short periods of time (often less than a minute), my root partition (Ext 4, /dev/sda5) become read-only without warning. This happens constantly, and I'm not sure why. I'm really hoping not to have to do a fresh install. I've tried rebooting, but the routine fsck that Ubuntu performs during boot fails to fix the partition. If I either let it boot and press M to manually recover, or boot in recovery mode and use a root terminal, I can usually fix the issue using fsck -f -v -y /dev/sda5. It's worth noting that I've also tried using a live USB stick (with Linux Mint on it), and running fsck from there. Also, I used the old version of Pared Magic that comes with version 15.0 of Hiren's Boot CD. However, the issue rears it's ugly head almost instantly when I reboot, regardless of how I run fsck. I even went so far as to reinstall some ext2/3/4 packages from the terminal: sudo apt-get install --reinstall e2fslibs e2fsprogs && sudo reboot. Still no dice. I have also tried booting into multiple kernel versions, each gave me the same issue. This particular computer running Ubuntu 13.04, 32-bit version. Freedom contains a file system with errors, check forced. Inode 1324554 was part of the orphaned inode list. FIXED. Free blocks count wrong for group #350 (25342, counted=25348). Free blocks count wrong for group #351 (27260, counted=27268). Free blocks count wrong (8929729, counted=8929743). Free inodes count wrong for group #162 (5151, counted=5153). 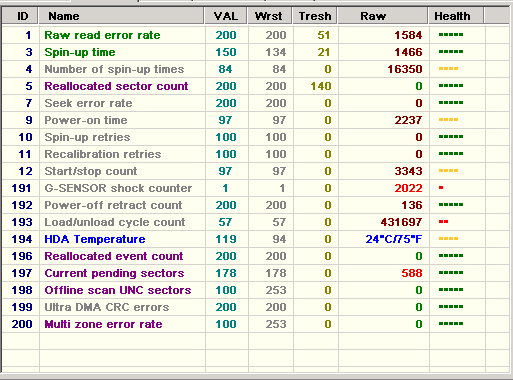 Free inodes count wrong (3000124, counted=3000126). If there's anything I can do to provide more detailed information, please let me know. The question for me now is, is this an indicator of a hard drive about to die completely? Update #2: I had previously added some images to this post, but discovered they weren't viewable. However, I've just re-uploaded them to a different website, and re-posted them. Therefore, they should now be visible. It would be wise to ensure your data is backed up as you could have drive failure creeping up on you. The fact it repeatedly happens under normal conditions suggests a hardware issue. Harddrives are known to fail. 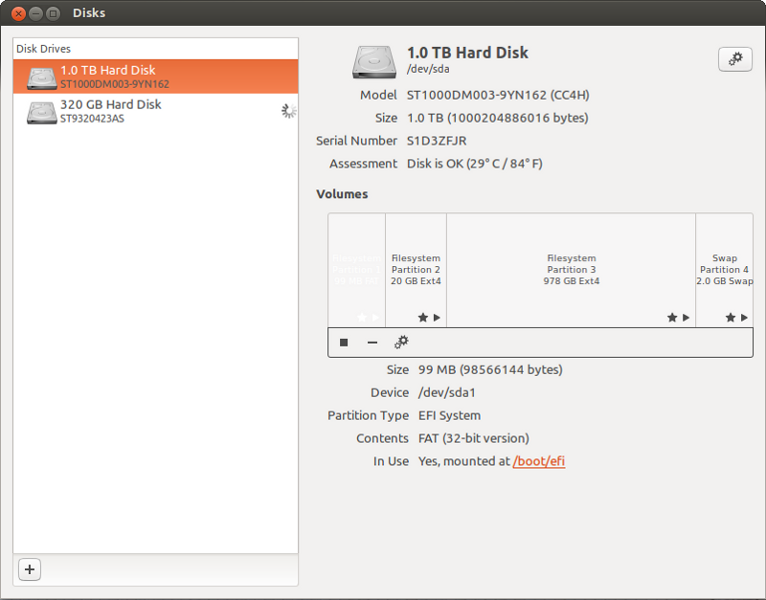 If you are running the main edition of Ubuntu, it includes a great tool called Disks from Gnome (search from the launcher to access it). You can select your drive on the left and then if you click on the gear icon at the top right hand side, you will get a menu and you can select "smart data and tests". From there you can run smart tests ("start self-test..." button at the bottom left hand side), I suggest the extended option to initiate a thorough test of the drive. Backup your data and change your HD soon because you might experience a serious data loss. After the backup, you can force the HD to use the default settings (and always be read-write) by editing /etc/fstab with the command sudo nano /etc/fstab: in the fourth colon of the root filesystem entry replace the error option with the defaults option. It is not a good practice and if your HD is really damaged you might cause more damage when you (or your software) write to it, this is the reason of the original errors=remount-ro in fstab file. Backup your fstab file before doing any change and NEVER copy-paste anything to it, only edit manually. A full guide is online, but isn't file-system independent and might change in the time; you can use it if the defaults option doesn't work. A suggestion is to enable the S.M.A.R.T. technology in your BIOS if you have it, because it will enable you to see with a good anticipation the state of your HD (it can save your work!) with specific software. Sorry for the bad news but it happened also to me some time ago, it's a bad feeling. Just to update anyone who cares, I decided to replace the HD, and copy as much of my data as possible. I am having trouble getting the copied Windows partition to boot, but that's another story for another site. Anyway, I guess that pretty much solves the mystery. Thanks for your suggestions. Not the answer you're looking for? Browse other questions tagged ext4 read-only fsck or ask your own question. Can't recover formatted Ext4 partition file system. :( Suggestions? Is it safe to use a disk after a successful fsck?